Holiday Card Classes Coming Up! For those of you interested in attending classes of mine or having a class kit sent by mail, I want to let you know about some upcoming Holiday Card classes that I will be holding. **NEW** Please pre-pay for classes by the RSVP date. This will hold your spot, and if you are unable to attend I can get the materials to you. If you cancel within 48 hours I can apply the pre-pay to a class in the future. The only reason I am starting to do this is because I have to buy all the materials in advance so that I can have the supplies needed for each person attending the class. I'm sorry if this causes a problem for anyone, and if it does please contact me to see what we can work out. Here are 5 card designs that will be available for the November 2nd class. Please let me know which one(s) you would like to do for your 10. Please RSVP by emailing me at galetannerdesign@gmail.com and getting your payment to me by the date above. The cost for the class is $12. If you place an order of at least $25 the class is $10 and if you place an order of at least $100 the class will be FREE. 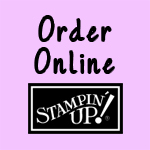 And don't forget, if you purchase $150 of Stampin' Up! products you will receive a FREE Brand New Fall/Winter Catalog, $15 in FREE merchandise and a FREE Level 1 Hostess Set! I have these planned so that if you attend or purchase class kits for all of these you can have 50 cards made before Christmas...way less stress than waiting until December to make them! If you're interested in ordering a class kit by mail, please email me at galetannerdesign@gmail.com. There will several different card designs using retiring stamp sets and you can choose which cards and how many you do. There is no set price as it will be determined by which cards you choose and how many you make. You are free to come anytime between 1:30 and 4:00, however some card designs may be all gone (unlikely, but just in case). There will be several doorprizes given away throughout the event, including a $15 Stampin' Up! gift certificate good on any order placed from me and a FREE Fall/Winter 2008 Catalog & Idea Book coupon (a $9.95 value). There will be a Retired Stamp Set Tag Sale as well. This is a selection of previously retired stamp sets at discounted prices. For more information, please email me at galetannerdesign@gmail.com or call me at 978-249-9425. Come join me for a Girl's Night Out! I will be holding a Tart & Tangy Card Class on Wednesday, June 25th at 6pm as part of Stampin' Up! 's eScape event. There will also be a pizza party*. The class will be held at The Community Church of North Orange and Tully in Orange, MA. For directions please see below for my contact information. There will be two options for this class. The cost of this option is $5. You will also make envelopes for these cards. These cards have brads and the stamped images are embossed. This option also includes making a box to hold these cards as well as the envelopes. This option costs $8. For more information about this class or to order this class as a card kit, please contact me by email at galetannerdesign@gmail.com or call me at 978-249-9425. Please RSVP by Sunday, June 22nd so I can be sure to have enough supplies and order enough pizza. This Tart & Tangy stamp set is in the Occasions Mini Catalog which expires on June 30, 2008, so if you're interested in purchasing this set, or any others in the Mini Catalog then this would be a great time to place your order as I'm not sure if any of these sets will be added to the Fall-Winer 2008 Catalog. If you would like to view the Occasions Mini Catalog, then click here to download a PDF copy. Even if you are unable to attend this event, you can email me your order before June 30th to purchase the items from this catalog. And don't forget, I can now accept Visa, MasterCard, and Discover for the purchase of Stampin' Up! products. However, I cannot accept them for the cost of classes or to purchase cards or card kits unless you use PayPal. * The cost of the pizza will be determined by the number of attendees as we will split the cost between everyone who will be eating. So, invite a bunch of your girlfriends to have fun with you!